A huge thanks to all our knitters for playing a part in helping us raise €25,000 through the Knitivity campaign at Christmas 2018. Almost €10,000 of this was returned by the many Haven Pharmacies who got involved and encouraged their customers to get knitting in support of Beaumont Hospital. 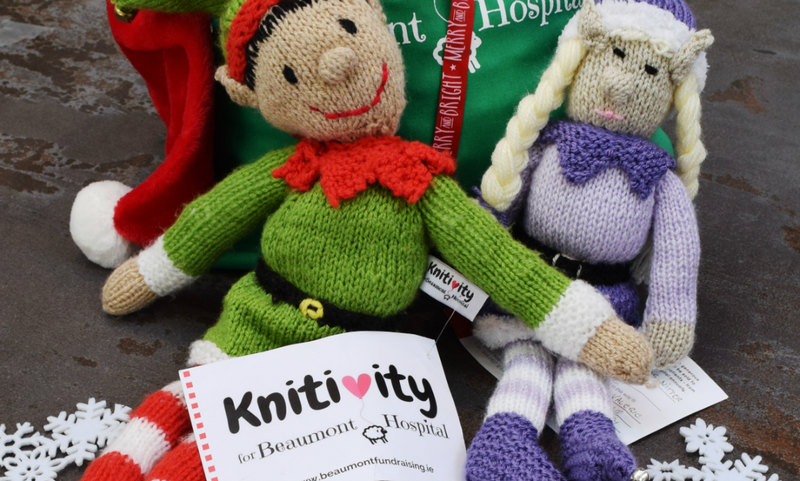 Huge thanks to Haven for their support for Knitivity and for making it possible for us to spread its reach beyond the walls of Beaumont Hospital and to the ICA who also supported the Christmas campaign. We loved meeting you at the Knitting and Stitching Show and building up relationships with so many owhom have become our regular knitters. Our new range of Spring patterns is now available on our website at https://www.beaumontfundraising.ie/knitivity or call Sarah on 01 - 809 2457 to order them by phone. Thank you all again for helping us to improve the care this hospital is able to provide to our patients.